If you're looking for something special to do on an upcoming trip, a tour might be just the thing. Disney World tours aren't like typical tours at places like museums or galleries; often times the Cast Members leading the tours will be escorting you behind the scenes and introducing you to parts of the parks that you've never seen before. Our recent experience with the Marceline to Magic Kingdom Tour was like that and it was nothing short of magical. Truly. It was amazing and one of my most favorite mornings ever spent at Magic Kingdom. The review below has some spoilers, so if you want to be surprised just take our word for it and rush to the nearest phone to book the tour. However, if you'd like to get a glimpse as to what you can expect, keep reading! Most Disney history fans should recognize the name "Marceline" in the title of the tour as Marceline, Missouri. 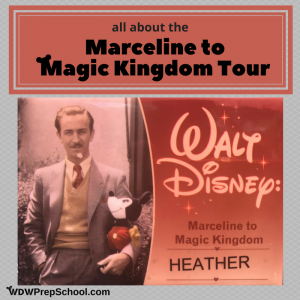 Marceline may not be the birthplace of Walt Disney, but it is the place that he credited with some of his happiest memories. To tell the truth, more things of importance happened to me in Marceline than have ever happened since, or are likely to in the future. I could write an entire post and fangirl all about Marceline, MO, but suffice it to say, if you live within driving distance you should visit it. Trust me. There you'll find the Walt Disney Hometown Museum and hidden Disney "treasures" spread throughout the town, all virtually untouched since Walt's last visit in the 1960s. Visiting feels like you've traveled back in time. I might have used a ton of tissues on my first visit. It was a little emotionally overwhelming for this Disney history fan. The Marceline to Magic Kingdom Tour is inspired by 2 things : Walt's love of his "hometown" (and how that small-town influence was woven into his movies and parks) and his constant pursuit of discovery and innovation. 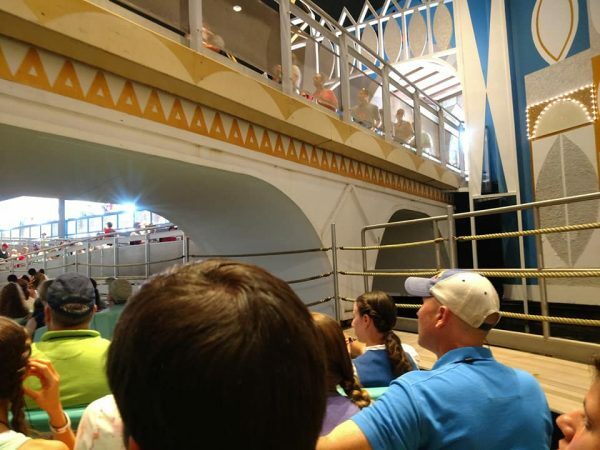 Those two inspirations create a delightful backdrop to a tour that focuses on the operation of several classic attractions, including those inspired by the 1964 World's Fair. Some people have referred to the Marceline to Magic Kingdom Tour as a mini version of the Keys to The Kingdom tour. And, I don't think they are too off on that. The tour is similar in a lot of ways. Most importantly, the tour guides for both do an excellent job making historical and technical details incredibly engaging. However, the Kings to the Kingdom tour costs about twice as much and lasts 2 hours longer. So, while it may not be as long as Keys to the Kingdom (which makes it a great option for anybody that doesn't have a full day to dedicate to a tour), it does pack a LOT into the time it has. This tour is open to anybody age 12 or older; however, since there is a large focus on history and the background to attractions, I'd recommend that if you're considering taking anybody younger than about 16 that they be serious Disney history fans. On our tour we had a family with an older gentleman who used a wheelchair all the way down to what looked like teenagers. But whenever I looked around at the faces, everybody was equally enthralled by what we were hearing and seeing. The price of the tour is $49, which after taking the tour seems like a bargain for everything we got to see and do. Discounts are sometimes available for Passholders and Disney Vacation Club owners, so be sure you check those memberships (if you have one) before you book. The tour lasts a full 3 hours (and it may go over slightly) and the entire thing is walking, so be prepared for that. Like the name suggests, this tour takes place at Magic Kingdom and you do need a park ticket in order to participate. If you are interested in booking this tour, you can do so by calling (407) WDW-TOUR. Like several tours offered at Magic Kingdom, guests are directed to meet up at Town Square Theater 15 minutes before the start of the tour. Keep in mind you'll need to save time to go through bag check and the turnstiles. For us that meant arriving at Magic Kingdom around 7:20 a.m. for an 8 a.m. tour. Because we didn't want to be late, we opted to use a Minnie Van since they can drop guests off right at the Magic Kingdom bus stop. I'd definitely recommend this option to anybody with early morning reservations or tours to get to. 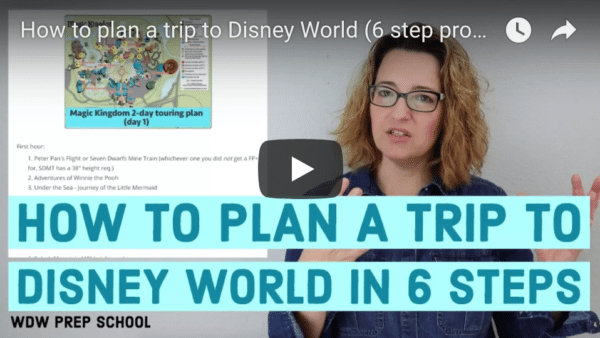 Disney World tours and character breakfasts are not cheap and it isn't any fun to start off what should be an amazing morning stressed out about making it there on time. Similar to guests with pre-park opening breakfasts, tour attendees are directed to a special turnstile (look for the signs) and escorted to a line to wait. Once we were given the all clear to enter the park, we headed over to the Town Square Theater to check-in. Several tours start from here, but everything is well organized and the entire check-in process was quick and easy. 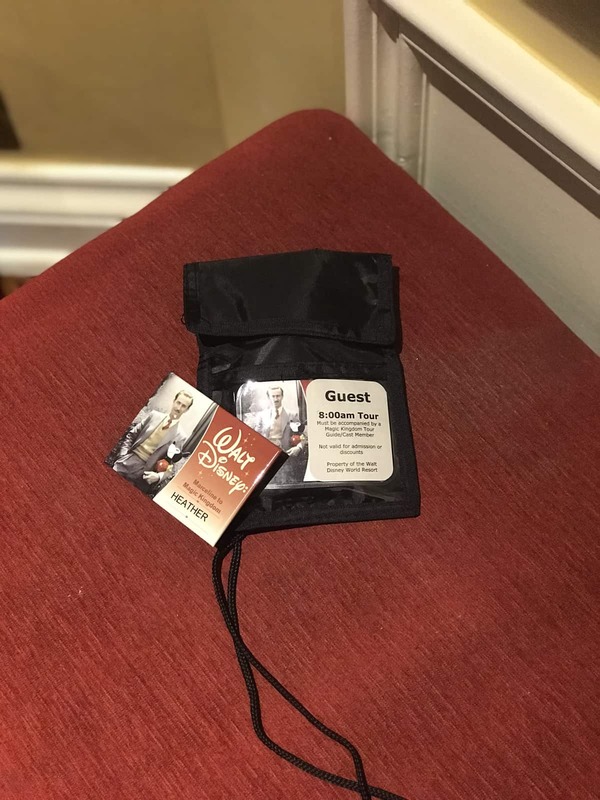 We received a cute button/name badge (that we were able to keep) and a lanyard with an audio pack that was connected to the microphone that our tour guide wore. As we waited for everybody to check-in, we were offered a bottle of water to take with us on the tour. We also made use of the extra minutes to use the restroom. Soon our group was gathering right outside of the Main Street Theater and getting set up with our handy audio packs. Note: specific elements of the tour may vary, but below is what we experienced. The tour started out with a slow stroll down Main Street while our guide filled us in on some of Walt's history. What I liked about the entire tour was our guide never assumed we were experts or novices; the stories and explanations are done in a way that no matter your level of expertise you'd find them interesting. As we slowly weaved our way towards Liberty Square, the conversation transitioned from Walt's personal history to Walt's history as an innovator. Lots of fun stories were shared, and I was constantly amazed at the level of knowledge our tour guide had. I mean, I can barely remember my own kids' names sometimes, but she had no problem remembering names of the dozen plus people she spoke about. And considering we had realized that our tour guide was the same one was in our review of the Family Magic Tour, we were doubly impressed. That is a LOT of information and spiels to keep straight and she never missed a beat. Eventually we found our way to Liberty Square. At this point we were ready to experience our first attraction - The Haunted Mansion. Out of nowhere, another Cast Member appeared and helped to create little pockets of space where our group could gather to hear the backstory to all of the fun stuff outside of the attraction. They did so in a way that never interfered with the regular guests that were just trying to queue up for the ride. 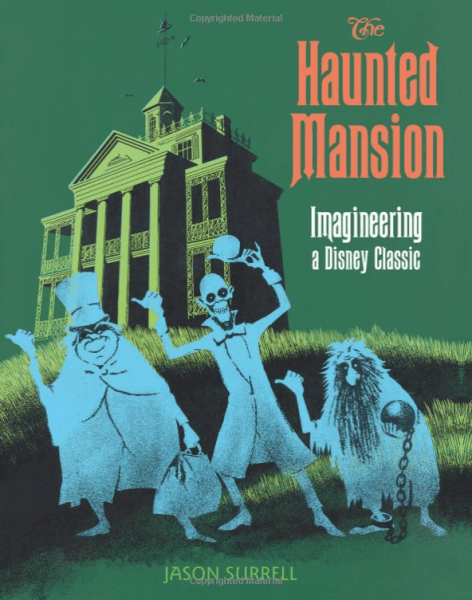 If you've ever read the book The Haunted Mansion: Imagineering a Disney Classic, then you know that like a lot of Disney attractions, there isn't much that was placed in it by chance. Nearly everything has meaning and a story connected. And, if you haven't ever read the book, you definitely should! It's one of those must-reads for any Disney fan. After we were done outside, we were brought inside to actually ride the attraction, but - and this is where it gets really cool - our tour guide narrated the entire thing for us. Because of her microphone and our headsets, she could talk quietly in her own Doom Buggy while we followed along in ours. It worked perfectly and it didn't disturb anybody else's enjoyment of the attraction. Again and again she shared all these cool stories and facts and a little foreshadowing on an awesome experience to come. Our next stop was an up close and personal visit to the ballroom scene in The Haunted Mansion! Yes, I might have squealed a little (lot) on the inside, but I totally tried to play it cool and act like I was used to hanging out backstage with iconic animatronics from one of the attractions with the largest cult following EVER. I was totally chill. I wasn't the only one. Because photos aren't allowed backstage, I'll try my best to describe what happened. We were led offstage and into a maintenance door of the building that houses The Haunted Mansion. We entered a room that looked just like a tiny mechanics shop, only instead of car parts, there were Doom Buggy parts, a cabinet of blueprints, and technical specs for all the attractions in Fantasyland. You know, totally normal stuff. From there we moved into another room, and at this point it was fairly dark and our path was marked with glow-in-the-dark tape. Through a door we went and BAM! Just like that we were in a tiny space right next to the ballroom scene. It was so weird to see the ghosts moving around in real life! There are so many details and pieces to it that you can't catch in the few seconds you have to view it when riding the attraction. From where we were positioned the people above (who were on the attraction) couldn't see us, and the ground was clearly marked to show how far we could go without ruining the show for them. This moment was probably the highlight of the tour. 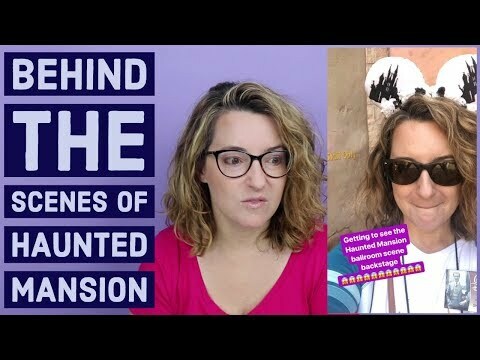 Being down at ground level with the "ghosts" and seeing exactly how that illusion works (instead of just reading about it) was such a cool experience and a definite must-do for any Haunted Mansion fan. After allowing everybody the chance to see (we had to kind of take turns because the space was small), we were given an opportunity to wipe the tears of joy use the restroom before our next stop: it's a small world. Again, we didn't just "ride" this attraction. Nope. Our group fit perfectly in our own boat, and using her microphone, our guide was able to again narrate the entire thing for us. She was informative and fun, and she was dropping stories and facts like they were on fire. She was so good at her job that she even made hearing the same song for 15 minutes enjoyable! After it's a small world we had one more stop: Carousel of Progress. Now, I know that Carousel of Progress gets mocked quite a bit, but I've always been a fan of it. I mean, where else in Magic Kingdom can you see a cat being wrapped up for Christmas? Again our guide narrated the entire thing as we had our own theater to ourselves. And while I walked into the attraction a fan, by the time I experienced the 360 degrees of awesomeness that is Carousel of Progress, I walked out a SUPER fan. After that came the part of the tour I didn't like because it was totally lame. It was the part where it was over. Just like that, we begged her not to go said goodbye to our tour guide and she collected our earphone things and we were back to being normal guests again. I know I'm a Disney freak and I love a lot about the parks, but I do experience life outside of Mickey Mouse and even when I compare tours I've done elsewhere to ones I've done at Disney World, the Disney World tours are still some of the best. They just know how to do it "right." I don't think we were anticipating how hungry we would be afterwards. I think a nice lunch reservation at a Table Service restaurant in Magic Kingdom (made for about 30 minutes after the anticipated end to the tour) would have been the perfect way to sit, cool off, and reflect on the experience while everything was still fresh. One thing I really wish we could have done was ride The Haunted Mansion again right after we saw the ballroom scene up close. It would have been fun to see if we could catch any of the details from up above that we could see from down below. Have any questions or thoughts on this or any tour at Disney World? Let us know in the comment. We have reservations for September and I cannot wait for the Haunted Mansion tour! Thanks for this review! I did this tour on my 2017 solo trip. The backstage Haunted Mansion was amazing! !